Pervious strips are long, linear landscaped areas or linear areas of pervious pavement that capture and slow runoff. 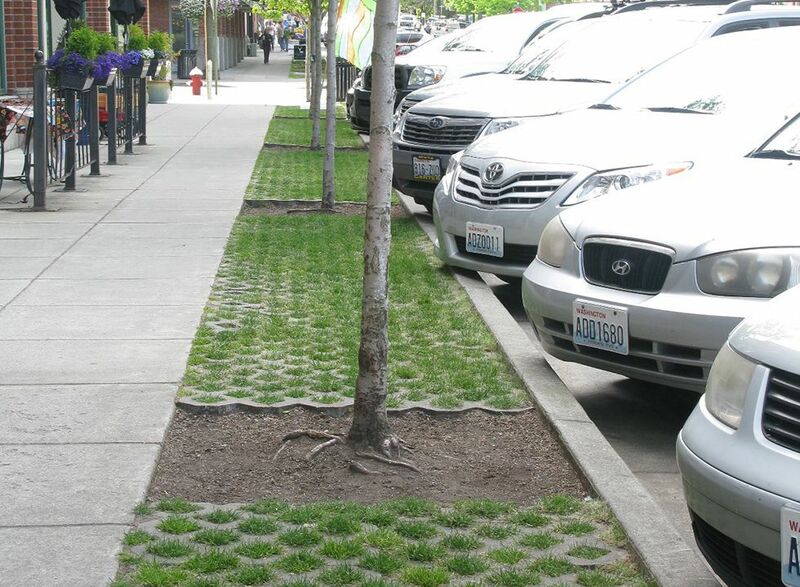 Depending on the underlying subsurface soil condition, pervious strips can provide some infiltration, but to a much lesser extent than bioswales. 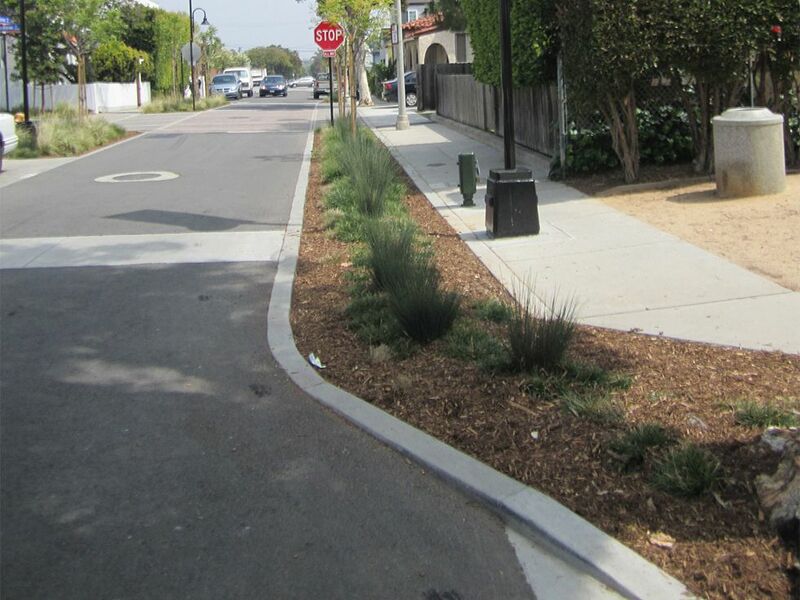 Pervious strips offer an inexpensive initial step in urban stormwater management, but are unlikely to provide enough capacity for treatment of a street’s full water quality event. Native plants increase biodiversity, act as a pollinator habitat, and are well-adapted to the regional climate, increasing their chances for survival. 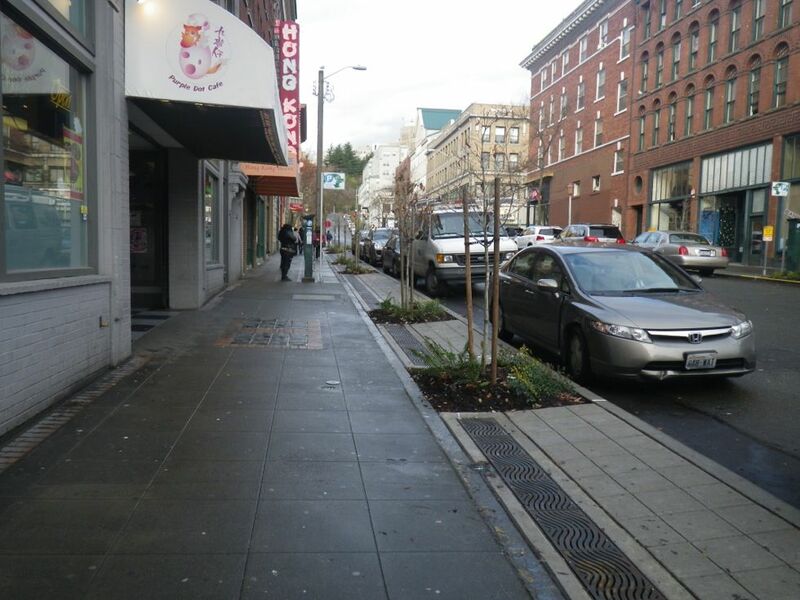 1 Integrate pervious strips with sidewalks, medians, curbs, and other features. Depending on the desired configuration, pervious strips may treat either sheet flow or more channelized flow. 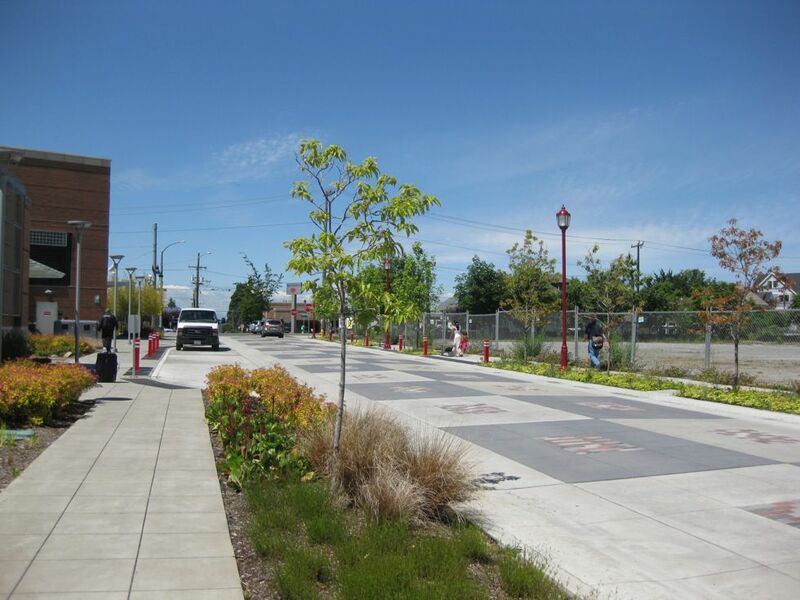 Pervious strips require long, continuous spaces to treat and filter pollutants. 2 As required, install a perforated pipe at the base of the facility to collect the treated runoff. 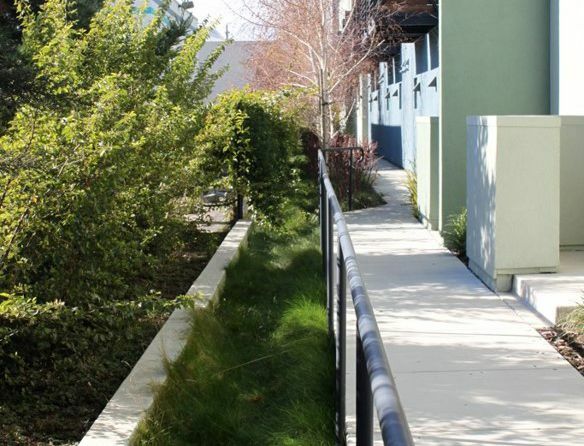 Use a maximum 2% gentle side slope to direct flow into the facility. Protect adjacent subsurface infrastructure by maintaining a minimum clearance, installing waterproof liners as separation barriers, or by constructing a deep curb to separate the roadbed subgrade or parallel utility line from the facility. 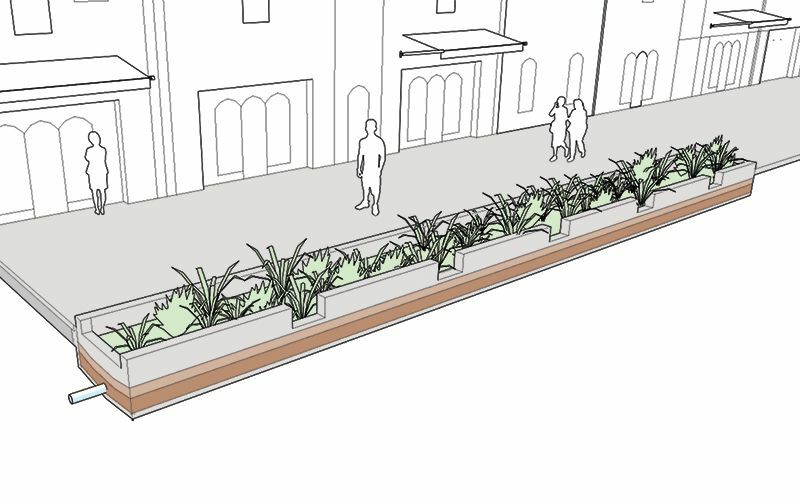 Where possible, cluster public furniture and utility appurtenances to maximize the contiguous linear space for pervious strips and minimize conflicts. Design the volume and flow capacity based on the contributing watershed area and design storm runoff. Infiltrate if underlying soil is of an appropriate type for infiltration and there are no conflicts with underlying utilities. 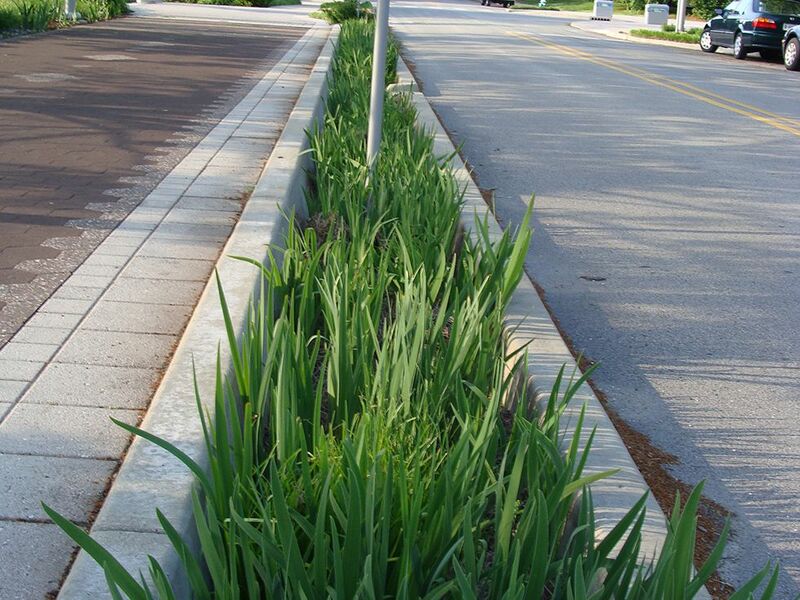 3 Reduce irrigation requirements of pervious strips by utilizing pervious pavements and native plants. Native landscaped areas are generally preferable because they will generate less runoff and can help mitigate the urban heat island effect. Native plants increase biodiversity, act as a pollinator habitat, and are well-adapted to the regional climate, increasing their chances for survival. 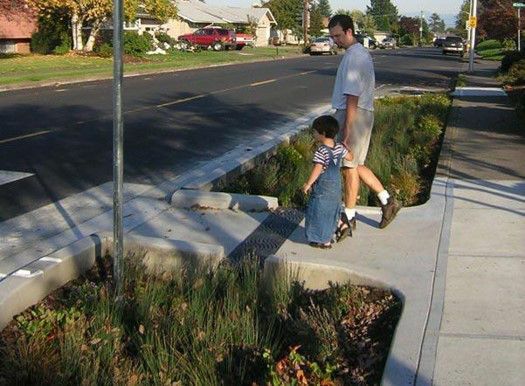 For additional runoff control on slopes exceeding 4%, consider the use of adjustable weirs, berms, or check dams, or modified catchbasins that feed into the bioswale or permeable system. 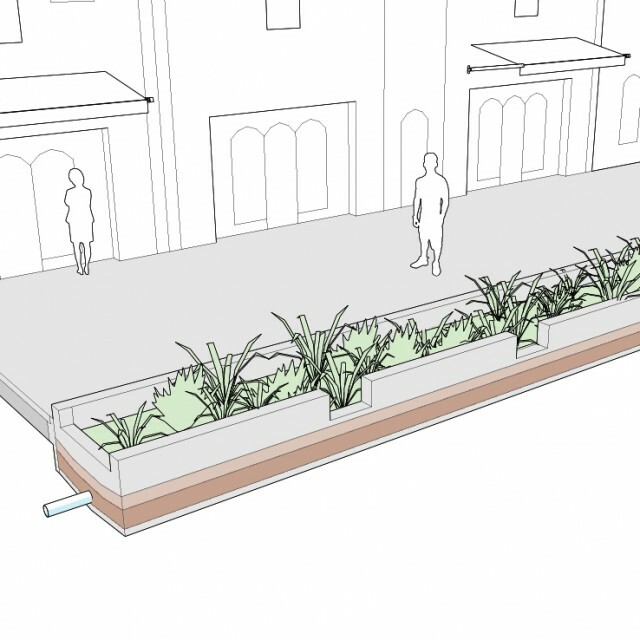 Long, linear spaces may be integrated with urban agriculture programs. Clean Water Services. “Low Impact Development Approaches Handbook.” Clean Water Services, 2009: 1-111. City of Melbourne. 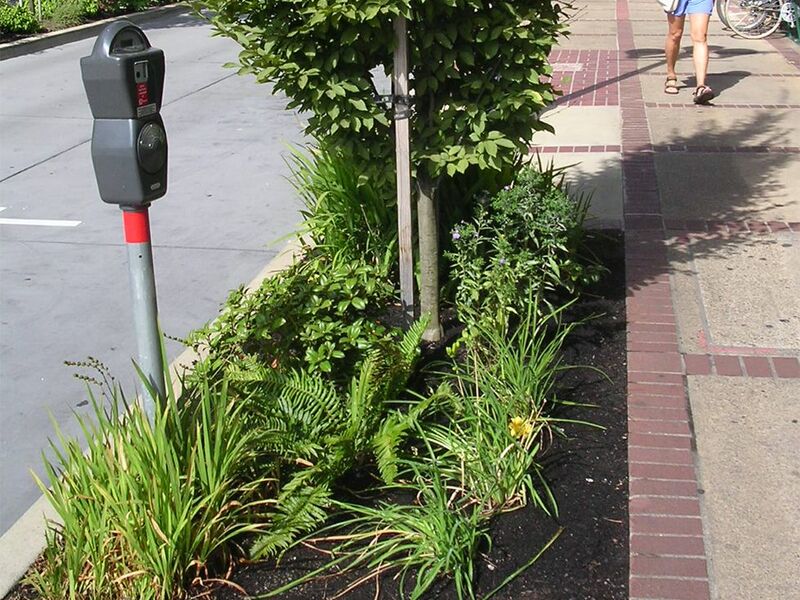 Landscape Treatment Policy for Nature Strips and Medians in Streets, Avenues, and Boulevards. Melbourne: 2010. City of Seattle. Seattle’s Natural Drainage Systems. Seattle: 2002. Ebihara, Tatsuji, LFR Levine Fricke, C. Bryan Young, Vibhuti Tiwari, and Lisa M. Agee. “Treatment of Contaminated Roadway Runoff using Vegetated Filter Strips.” Kansas Department of Transportation, Kansas State University, University of Kansas, 2009. Hudson County Planning Board. “Low Impact Development/Green Infrastructure/Best Management Practices for Sustainable Stormwater Management.” Hudson County, New Jersey: 1-10. Jurries, Dennis. "Biofilters (Bioswales, Vegetative Buffers, & Constructed Wetlands) for Storm Water Discharge Pollution Removal." Oregon: State of Oregon Department of Environmental Quality, 2003. Rottle, Nancy, Vanessa Lee. 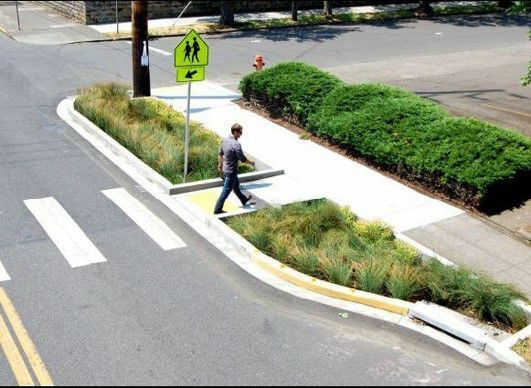 “Re-Imagining Seattle Streets: Planting Strips and Street Edge Treatments for Urban Green Infrastructure.” Seattle: Green Futures Research and Design Lab, Department of Landscape Architecture, University of Washington, 2007. San Francisco Planning Department. 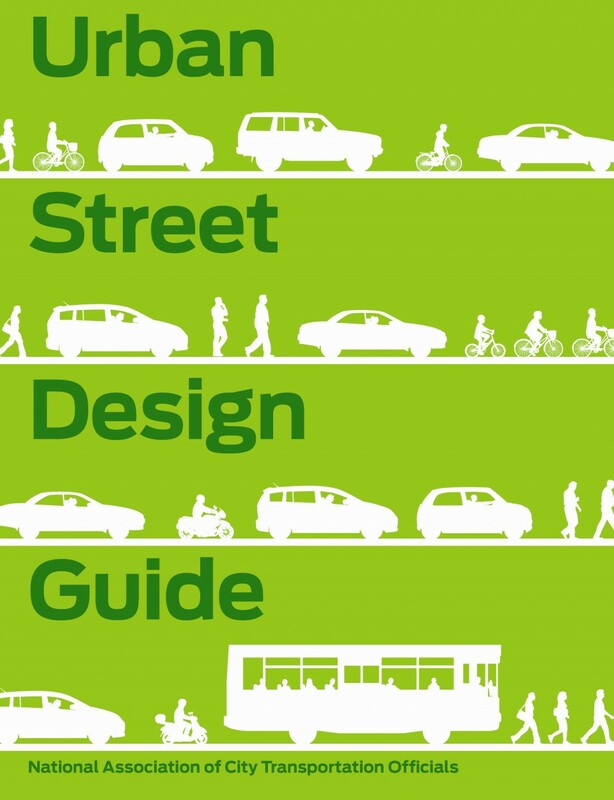 Better Streets San Francisco Guide: Streetscape Elements. San Francisco: 2011. USKH Inc. Water Resources Group. 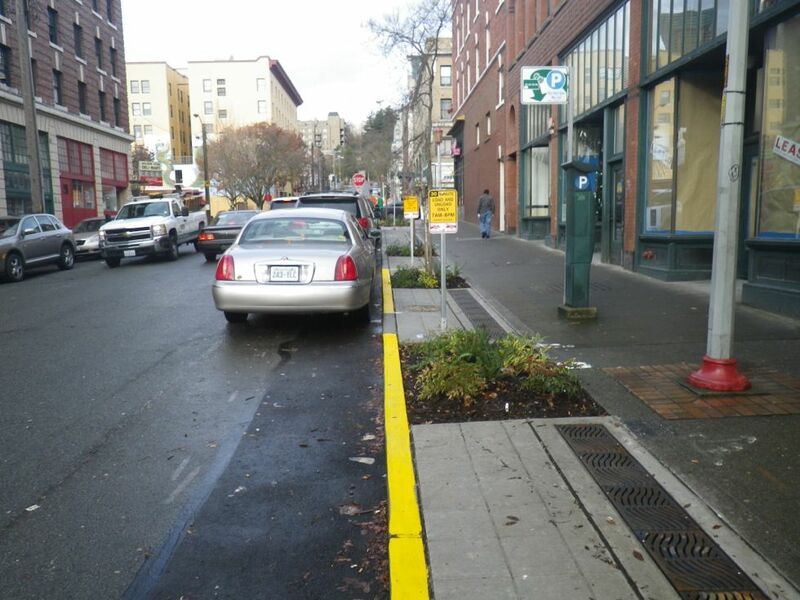 Low Impact Development Design Guidance Manual. Anchorage: 2008. References for Pervious Strips: 8 found.